Which attraction is this WDW commercial screenshot from? [Question] Which attraction is this WDW commercial screenshot from? In this WDW FP+ commercial ( https://www.youtube.com/watch?v=DvRPUzRGK7s ), what attraction is this from? Re: Which attraction is this WDW commercial screenshot from? 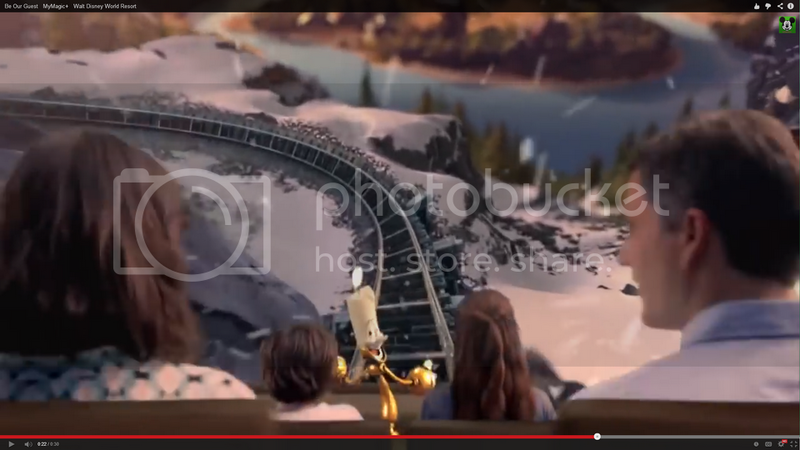 Looks like weird CG mockup intended to be Expedition Everest to me. It just looked like the family is sitting in a theater watching a movie roller coaster ride. Why would they do a CG version of Expedition Everest when they can just use the real thing? They are watching the Finding Nemo Musical which is in Animal Kingdom and then the curtains reveal a fake shot of a EE view that doesn't exist. I imagine it was all created to sell the idea, rather than the actual product. I love at :08 in the commercial that the castle is at the wrong end of Main Street. that made my head hurt hahaha. Everything looked so fake; why couldn't they have filmed it at the parks instead of a very obvious movie set (you can tell it's a set in the scene with Cinderella).